As a premier outdoor destination and the gateway to the Sierras, there is no better way to spend the holiday season than outside in Reno Tahoe. After indulging in all the delicious food, cookies and spiked eggnog #optoutside for your next adventure. There are a countless number of reasons why Reno is awesome, but one that stands out is the year-round hiking. We tend to get less snow on the valley floor compared to the mountains, but even if we do, that just make the views more spectacular. Hunter Creek – The waterfall at the end might not be flowing as heavily as it does in the spring, but the trail’s proximity to town, the views and the surrounding forest make this a great hike any time of year. Evans Canyon – Set just above Rancho San Rafael Park, this hike offers incredible views of the park and downtown Reno. Hike to the famous ‘N,’ or for a longer route you can complete the Evans Canyon Loop. Since this trail has minimal shade, it’s perfect for a cool winter day. 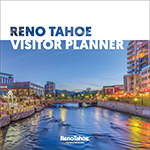 Take your friends and family on a self-guided public art walk through Midtown and downtown Reno. We have more than 80 murals painted by local, national and international artists. Check out some Burning Man art fresh off the Playa in Reno’s downtown Playa Art Park. 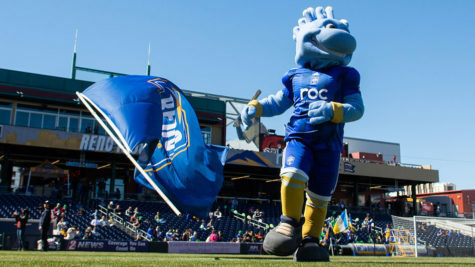 For an interactive map of all public art in the area, visit RenoCulture.com. Open for the winter season, lace up your skates and channel your inner Michelle Kwan at the downtown Reno ice rink at Greater Nevada Field. Whether you want to hit the dirt or cruise the pavement, riding your bike is the perfect way to #optoutside this holiday season. Located on the south side of town near Galena Regional Park is Dry Pond Loop. This 7-mile loop features a challenging climb and exhilarating descent through the pine trees and aspen along Whites Creek and Thomas Creek. If you are looking to cruise the pavement, then head to the Truckee River. The Tahoe-Pyramid Trail is a bike path that follows the entirety of the Truckee River, but we recommend the ride from Mayberry Park to downtown. Reno Tahoe now has Lime Bike, so pick one up and start riding! Yes, Whitney Peak has an indoor climbing gym, but to get you outside, try their Guinness Book of World Records, “World’s Largest Climbing Wall.” The outdoor climbing wall is 164 ft tall and offers the best views and selfie opportunities with the Reno Arch. 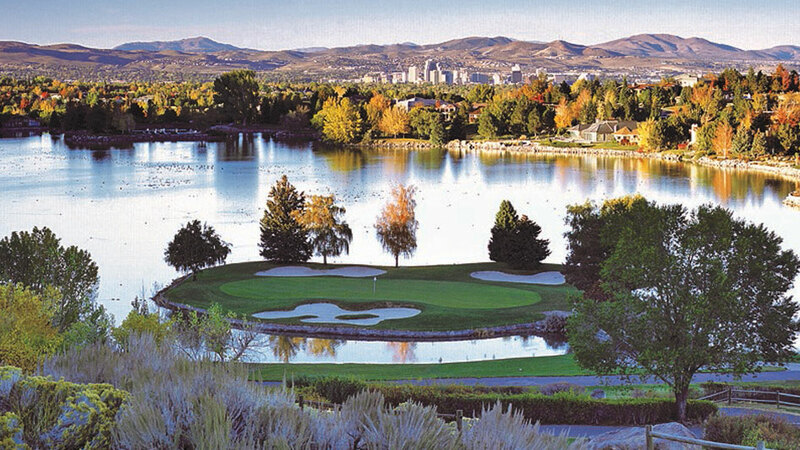 Enjoy Reno Tahoe’s great outdoors by fishing our world-class lakes and rivers. Grab your waders and fish for trout in the Truckee River and Pyramid Lake. The winter ski season is officially upon us! 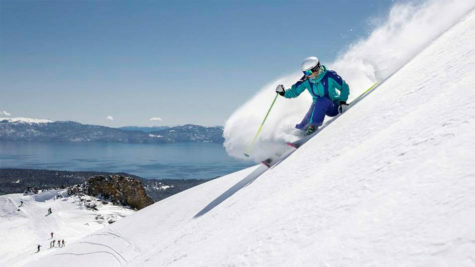 It’s time to dust off your winter gear, head up the mountain and check out the epic terrain the Lake Tahoe resorts have to offer. Check out our snow report for the latest totals and start planning your winter trip today! 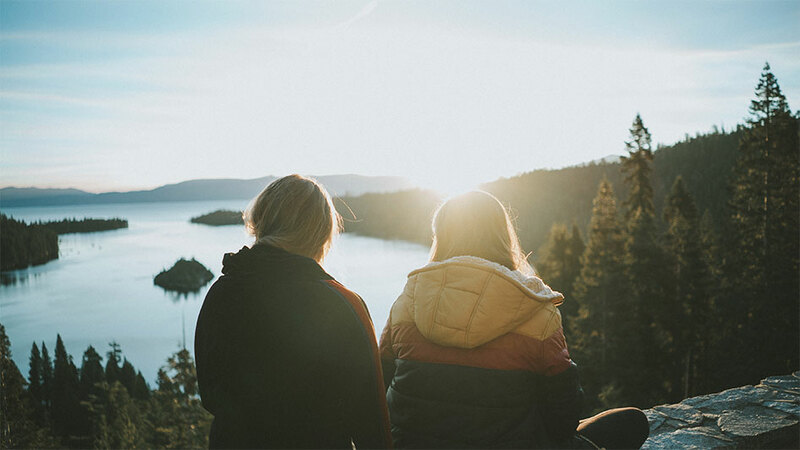 No matter what you and your family decide to do this holiday season, we hope you have a safe and fun time in Reno Tahoe.